Yes! 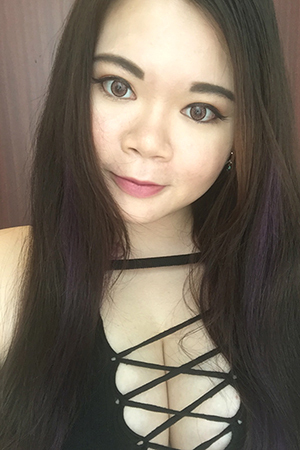 Ever since I started going to Artistry Hair Singapore! Everyday is a good hair day for me! Even on my lazy days when I can’t be arsed to use the hair conditioner. As you can see from my social media feed, I kind of change my hair colour ever so often and the colours I go for requires me to bleach. How can bleaching my hair be good in the long run right? Not when you leave your hair to an awesome hair stylist like Elein, who genuinely cares for the health of your beloved tresses. Spending on treatments is worth every cent! I’m not kidding! When I’m not colouring my hair, I make sure to visit Elein for the regular monthly Mucota ABC three step treatment to nourish my hair and keeping it in good condition! And every half a year, I’ll be doing the DYNA treatment for an intensive nourishment that will leave my hair silky smooth for months! It’s better to spend on treatments rather than hair oils, hair masks etc. Those might be cheaper at first look but it all adds up and not forgetting you have to do it yourself! Why not pamper yourself once in awhile and ensure that your hair is healthy? Also, quote my name for 10 -30 % off all hair services! After a couple months of waiting, the Urban Decay Moondust palette is finally out in stores at our local Sephora stores! This is going at $80. The recent Urban Decay palettes was pretty much a miss for me. I’m glad that they finally came up with something that I actually want! I love shimmery shadows and this is definitely the palette for me. Though I must say that UD needs to work on the fallouts from these sparkly shadows that are filled with micro-glitter. The palette consists of 8 shades in a variety of colours for all occasions. Specter is a light peachy shade that is perfect to be used on the inner corners to brighten the whole look. It’s one of the sheerest out of the palette but I think it will also look great layer on top of a dark matte colour. The rest of the colours are perfect for adding a pop of colour to the center of the lids on any smokey eye look. These shadows can also be used wet for a more intense look. Of course, if you’re adventurous enough, you can definitely come up many combinations with this palette. The shadows are very soft and easy to blend. I think the only con of the palette is the fallouts. All swatches are one swipe only under different lightings. Pigmentation is pretty decent and these can be used wet for more intense pigmentations. It’s not difficult to create some captivating eye looks with this palette! The moondust palette might seem similar to the LimeCrime Superfoil shadows but I would say they are very different. Being a palette with all colours being all shimmery and packed with micro-glitter, we know this is not exactly an everyday palette. So what else can we use the palette for? With Halloween coming up, this palette is a perfect replacement to using face/body paint. If it’s safe for the eyes, it’s safe anywhere else! With just any stencil and a makeup setting spray, you can come up with many different sparkly stenciled art that you can put on your face or anywhere on the body for the upcoming parties! Can’t wait to create more #motd with this palette! Simple Grooming Tips to look good effortlessly while travelling! We all want to look our best in our travel photos, take the best OOTDs, and look good in our selfies with well-known landmarks in the background. But time is essential while we travel! We definitely can’t afford to spend 2 hours to make ourselves look good and waste good time that can be used to visit another tourist spot! Here are 3 simple grooming tips that can save you loads of time and still look good during your travels! But time is essential while we travel! We definitely can’t afford to spend 2 hours to make ourselves look good and waste good time that can be used to visit another tourist spot! Here are 3 simple grooming tips that can save you loads of time and still look good during your travels! Grooming Tips 1: Refresh Your Hair Colour and get a Treatment done! This is very straightforward. If you dye your hair regularly, you definitely not want to be showing those ugly hair roots! So do get your roots touched up or take the chance to get a brighter colour so you will stand out in your travel photos! Getting a hair treatment is a must because our hair usually will be in tip-top condition for at least 2 to 3 weeks depending on the kind of treatment you do. I strongly recommend the Mucota ABC Hair treatment available at Headlines By Artistry as my hair always look so good and is super easy to manage after doing the treatment. Regular treatment once every 1-2 months will means that your hair will always be in pristine condition! And when your hair is easy to manage, getting it to look good is just a matter of minutes. Getting a hair treatment is a must because our hair usually will be in tip-top condition for at least 2 to 3 weeks depending on the kind of treatment you do.I strongly recommend the Mucota ABC Hair treatment available at Headlines By Artistry as my hair always look so good and is super easy to manage after doing the treatment. Regular treatment once every 1-2 months will means that your hair will always be in pristine condition! And when your hair is easy to manage, getting it to look good is just a matter of minutes. Not forgetting quoting my name will get you 10-30% off depending on the hair services you want to do at Headlines By Artistry! Did I also mention that they are having a $58 Haircut plus treatment promotion right now? Make an appointment today! Remember to quote my name and look for my trusty Hair Stylist, Elein! Grooming Tips 2: Get Your Nails Done! Getting your nails done adds a pop of style to your fingers so that you can put less emphasis on other areas. LOL. My set of Sailormoon uniform nails hand drawn by my trusty Manicurist Aini had gotten me loads of attention when I’m in Japan! People just get all excited when they recognised the iconic uniforms! Nobody cares about what I wear! LOL! Plus, painted fingernails always looked better than plain nails. And it’s really affordable to get a set of nicely painted gel nails by Aini! You can look through Aini’s nail art designs either on Carousell at https://carousell.com/ainionelovenails/or on FB at https://www.facebook.com/ainionelovenails. Best to book an appointment with her via either Carousell or FB! Grooming Tips 3: Get Eyelash Extensions! Pop of Colour Optional! This was probably the best thing ever that I did before my trip. And a disclaimer, I paid for my extensions myself! I’ve also decided to add in purple coloured lashes as I felt that the extra pop of colour adds dimensions. Which also means I can really skip eye makeup altogether as the extensions creates a liner illusion and have that pop of colour! I opted for the unlimited lash option as my eyes are pretty big and I wanted it to be a little more dramatic so as to omit the need for eye make. Paid a total of $150 for unlimited lash plus colour after a first visit referral discount as I quoted my friend’s name. If you are interested, you can quote my member #1929 to get 10% off your first visit too! Hehe. And I must say the extensions are pretty long lasting! They still looked pretty good after a month! I still have about half the lashes left and it’s almost 6 weeks since I did it! Bonus Tip: Mask Every Night While On Your Trip! Trust me! Masking nightly will ensure you having nice supple skin the next day! So bring enough sheet masks for the number of nights you’re staying! Daiso have these one week supply mask packs that are pretty good! $2 for 7 pieces of masks in one pack. Or you can bring along different flavours of sheet masks if you prefer using something different every night. The team at Enavose have kindly sent me one of their Jetsetter pack, which is the Enavose Hydration on the go pack right before my Tokyo trip last month. Which is really a great help because I’ve one less thing to plan to pack since the Enavose Hydration Pack practically covers me for the Skincare portion. I’m someone who really hates packing and always wait till the very last minutes to pack. Plus, I’ve so many travel-sized skincare from various brands that it can be quite a headache. With the Enavose Jetsetter Packs, you’re basically covered for your trips. Also, you get to choose from Hydration, Acne Combat or even the Sun Shield Pack for those going on a beach holiday! Just pick what you need and you’re ready to go! The Enavose Hydration Pack was indeed just right for my trip because the weather in Tokyo was surprisingly very drying although it was the rainy season. My favourite product in the Enavose Hydration Pack is the Oceanic 24H Luxe Cream! I used it both day and night during my trip and it makes my skin moist and supple. Perfect prep before makeup and provides ample moisture to the skin for a night sleep under air-conditioning. Another star product in the pack has got to be the Mineral Concentrate Refresh Mist! As the name suggests, it’s really refreshing and works really well to give the skin a perk me up! I’ve used it in the day after makeup to set my makeup and it doubles up as a toner at night after I remove my makeup and cleanse my face. Loving the ingenious design of the mist where there’s an attached cap to cover the button so that you won’t accidentally press on it and spill any of the mist. Also, no worries about losing the cap! Also included in the pack are the Alpine Edelweiss Foam Cleanser and the Probiotics Exfoliance Gommage. The cleaner is very gentle and refreshing and also, doesn’t dry out the skin. The Gommage is also perfect during a trip for that gentle exfoliation to remove the dirt on our face that we have accumulated on our day out in a foreign city. Trust me, I kind of feel that the air in Tokyo is slightly more polluted than that in Singapore. Maybe because they are a cosmopolitan urban city with a lot lesser greenery than we have in our garden city? My Thoughts on the Enavose Jetsetter Hydration Pack? I’ve finished using the mist during my 9 days trip but the pack includes 3 bottles of it! It’s small in size at 10ml but it’s also perfect for the handbag! The Luxe cream is a current staple in my skincare regime as a night cream. I tend to have dryness around my cheeks but ever since using the luxe cream, it really did improve! And I really recommend the Gommage for exfoliation, it’s so gentle that it can be used daily even! For the price the Jetsetter packs are going for, I really think it’s a steal! Get it now before they revert back to usual pricing! And I must say it’s thanks to Enavose that I can have nice and moist supple skin throughout my trip! And that means near perfect makeup for near perfect selfies! Hehe! Also, shop at Enavose Online Store today and receive 10% storewide with my promo code “ENVJOYCE”! Plus, get to redeem a Free Beauty Kit worth $62.50 today! The kit includes the Exfoliance Gommage mentioned above and also a Youth Force Concentrate! Did I mention that there’s no purchase required? You just simply have to sign up and Enavose will mail the kit to you! Sounds awesome? Yes! Don’t say I never share good stuff with you all ah!